I wish to thank you for your efforts in the fields of philosophy and apologetics. The resources on this site have been a tremendous help to me and my studies. I was going to ask something philosophical in nature, but I believe I may find those answers on the printed resources here at RF. On a more personal note and after having listened to your testimony from some of your debates and lectures, I was curious if you kept in touch with “Sandy”; the young lady who first told you that Jesus loved you? How pleased she would be to know that you are now a Christian academic and a vigorous debater for the faith. Her boldness in sharing Christ with you that day not only initiated the process of your becoming a Christian but a life-long intellectual pursuit that has impacted many in the field of Christian apologetics. I hope that those of you who have serious intellectual questions will forgive me for taking a purely personal question, but this one is obviously very meaningful to me. Sandy Tiffan sat in front of me my junior year in our high school German class. She was a radiant Christian; I was an alienated and miserable non-Christian. She told me that God loved me, and that idea so staggered me that six months later I yielded my life to Christ and was born anew. It was September 11, 1965. After becoming a Christian, I wanted to attend Sandy’s church, but she told me, “It has too many problems.” She directed me instead to Mt. Olive Missionary Church in Peoria, a solid church with a dynamic high school youth group. For the next two years my roots sank down deep into Christ, and when it came time to choose a college, Sandy advised me to apply to Wheaton, where her brother Paul was already a student. The idea of attending a Christian college appealed to me, and so I applied and was accepted. I went off to Wheaton, while Sandy attended Illinois State. I rarely saw her after that, and eventually my roommate Bill Beutel, also from the Peoria area, told me that she had gotten married to a local fellow named Denny Ackerman. I married as well a year after graduation and after completing seminary moved with Jan to Europe to pursue doctoral studies. In 1981 I dedicated my book The Son Rises, a popularization of my doctoral work in theology at the University of Munich, to Sandy with the words: “To Sandy Tiffan Ackerman, who first pointed me to the Savior.” But I never saw her again in person. My folks, along with my sister and brother, eventually moved away from the Peoria area to Arizona, so I had no occasion to visit the area again. Meanwhile, after teaching for seven years at Trinity Evangelical Divinity School north of Chicago, Jan and I moved back to Europe to pursue research at the University of Louvain. It wasn’t until 1994 that we finally returned to the States. As my speaking ministry in the U.S. developed, I wound up getting an invitation to speak at Bradley University in Peoria. I thought it would be fun to visit the old home town, so I accepted. I remember that night I spoke on the kalam cosmological argument. After my lecture I lingered to talk one-on-one with the students who had questions. Then I was approached by a middle aged woman. She held out her hand to me and just smiled—didn’t speak a word. After an awkward silence, I said, “I’m sorry—do I know you?” All she said was, “I’m Sandy.” In an instant the years seemed to roll away, and I recognized the face of the 18 year old girl that I remembered. What a precious reunion that was! What was especially thrilling was to learn that Sandy had two teenage boys who were enrolled in a Christian high school, and in their apologetics classes their teacher was having them watch videos of debates of you guessed it! William Lane Craig! Can you imagine how they felt when they told their teacher, “Oh, yeah, our Mom led that guy to the Lord”? Her boys were on-fire Christians who were eating this material up and active in sharing their faith. It was such sweet irony, that having been brought to Christ by Sandy’s witness, I should now be involved in the equipping of her sons! 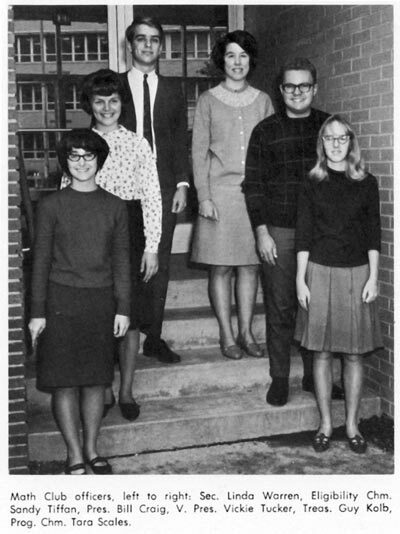 On subsequent ministry trips to Peoria I was able to meet her sons and their teacher!, and Jan was able to come along and meet both Sandy and Denny. We’ve kept in touch since then. So I’m pleased to answer your question by saying that Sandy has continued to serve the Lord faithfully all these years and has helped to bring up fine young soldiers for the Kingdom of Christ. I thank God for her and her bold witness.